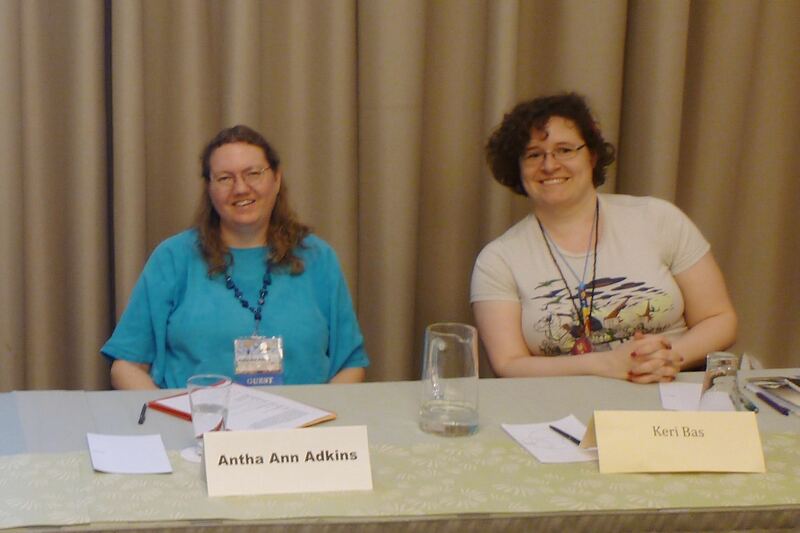 I had a blast at ApolloCon 2014, moderating two panels and participating in two others. 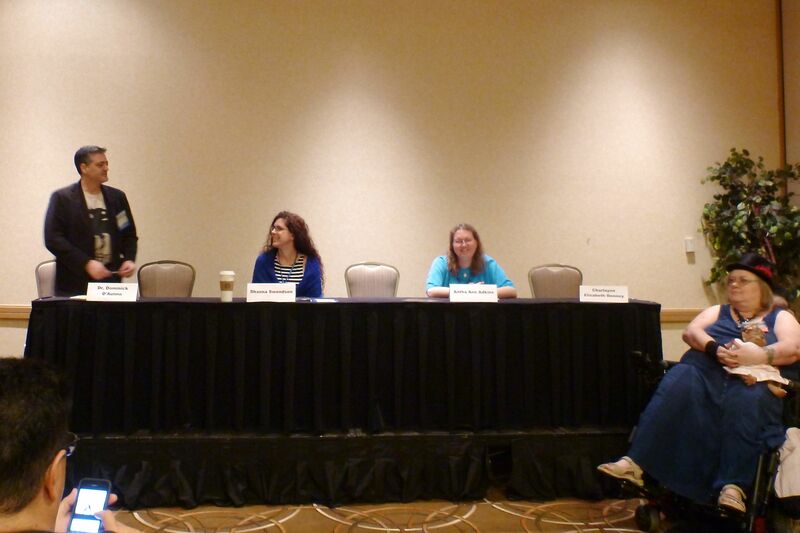 One end of the hotel was much colder than the other, so I got a nifty TARDIS blanket to keep me warm … perfect for the Dr. Who panel I was moderating. 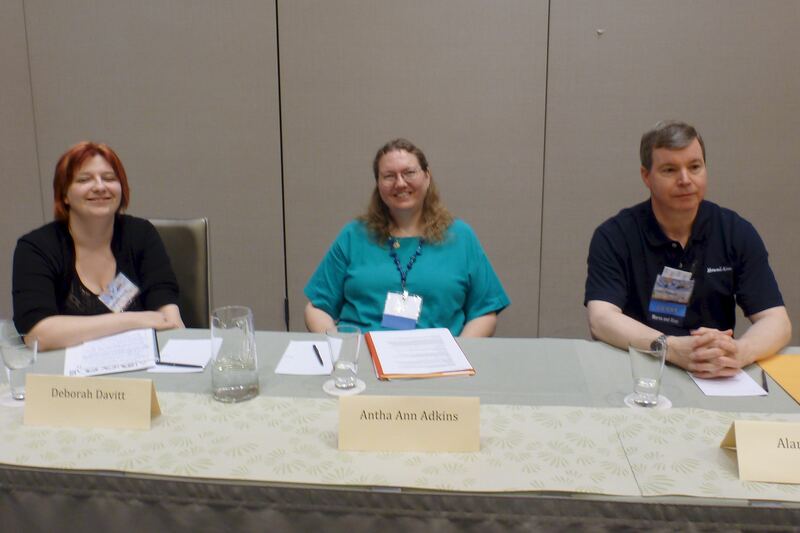 I forgot to take the traditional picture of the view out of my window (it was a parking lot anyway), but my wonderful husband did take some pictures of my panels. 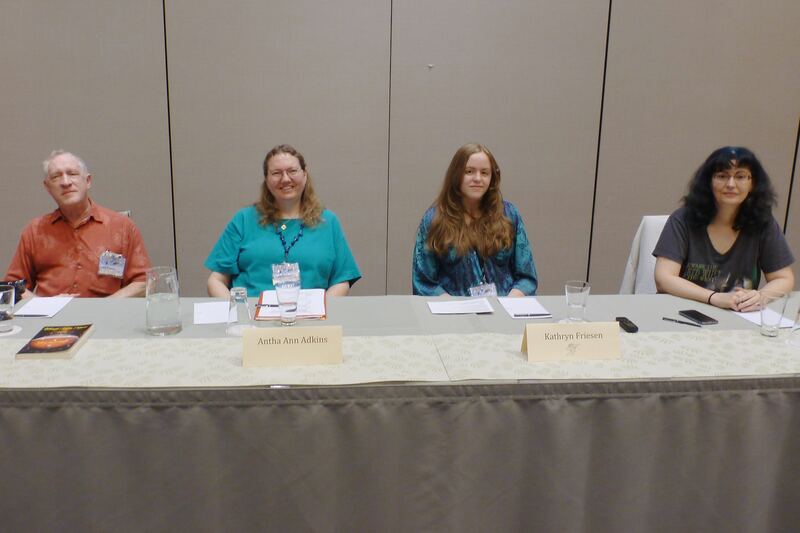 Bad Boys vs. Good Guys with Dominick D’Aunno, Shanna Swendson, and Charlayne Elizabeth Denney. 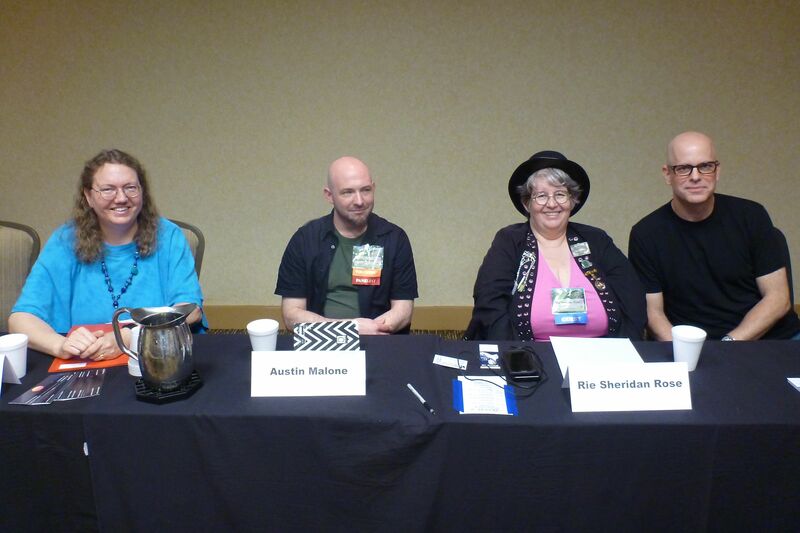 Moderating Short Fiction: Still a Thriving Market with Austin Malone, Rie Sheridan Rose, and D. L. Young. 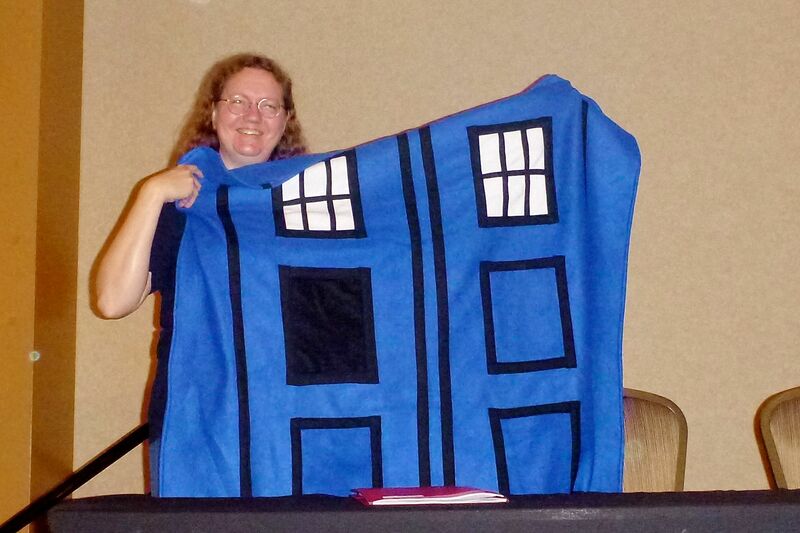 My TARDIS blanket – warmer on the inside! 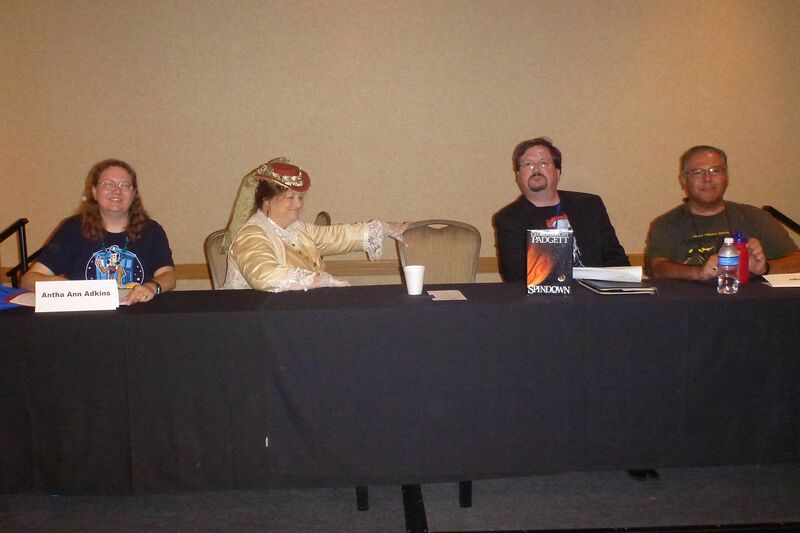 Moderating The Big Blue Box: Dr. Who with Diane Ullman (Queen Victoria), George Padgett, and Al Griego. 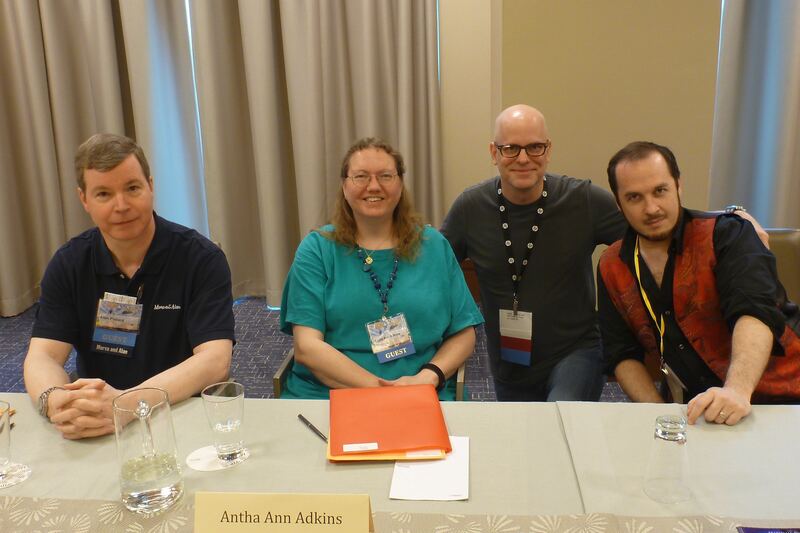 Should be fun! 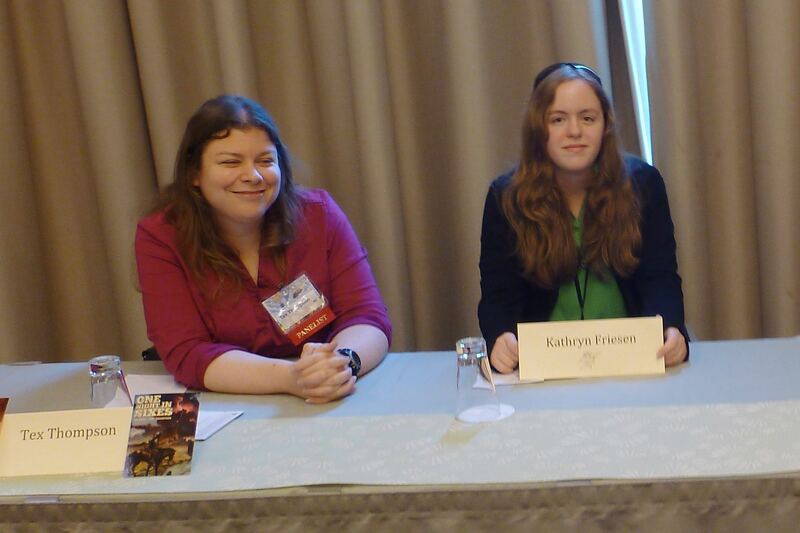 If you’re there, please stop by and say hi!